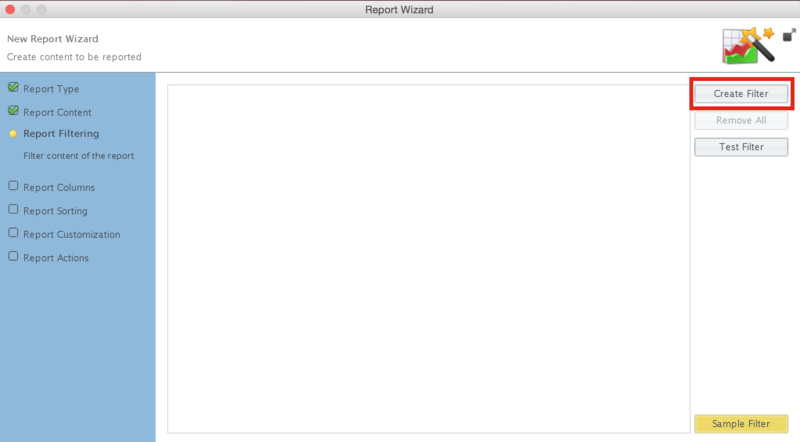 Open the Report Wizard through Report menu in Document Navigator. 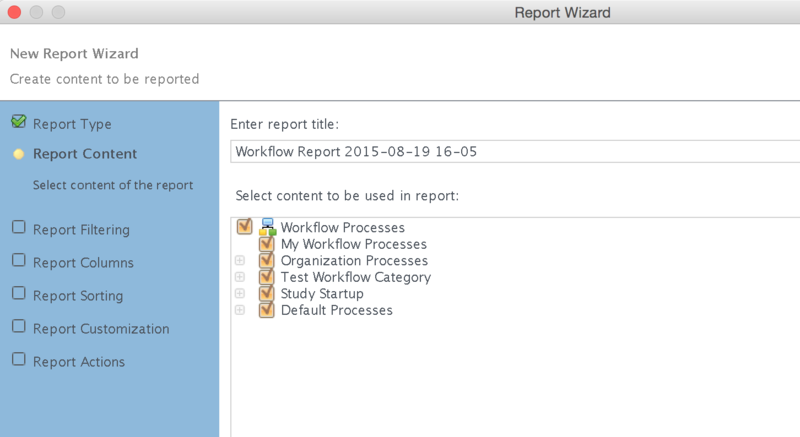 Once the wizard is launched, select the report type you want to generate and click Next. 2 Select content to be used in report generation. The image shows an example but content may vary based on the selected report type. 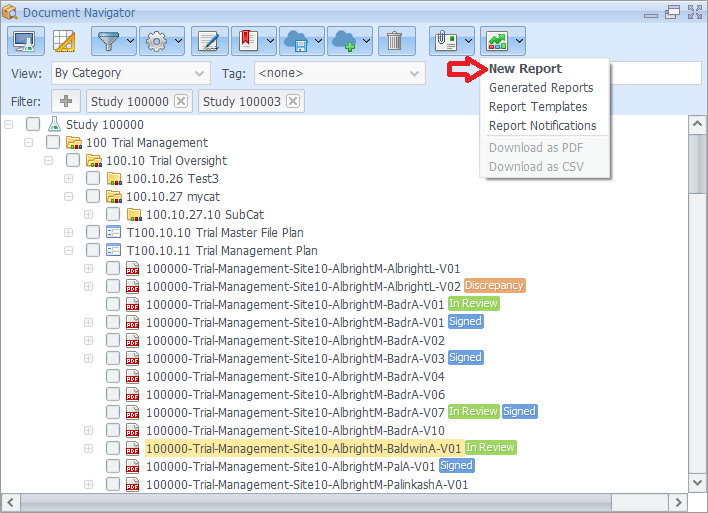 3 Click the Create Filter button to add filters and narrow added report content. 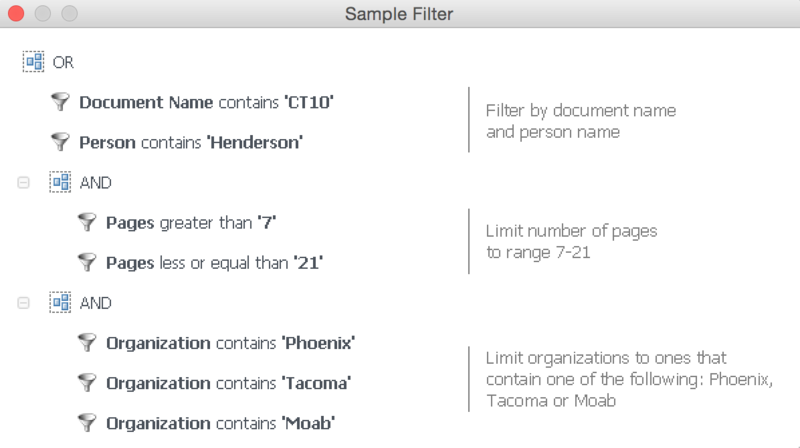 You can create filters that group conditions using the logical AND/OR (1). These filers are defined using logical groups. For example, you may want to include in the report all Categories with specific names. To do so, select Category from the list, contains from the filter and type the name you wish to be part of any added classification category. Any created group has at least one logical condition. To add another child condition, press the button with number 2. You can nest logical groups by adding child group (button 3) or delete a logical group using the delete button (4). You can also delete a logical condition using the delete button on its level. 5 Here is a complete Report Filter for reference.